The major concern seems the emission of nitrogen oxides at cruise altitudes, which substance may promote the enhanced greenhouse effect, photochemical smog formation, and also the depletion of the stratospheric ozone layer. Doubtless, future reductions in environmental impact will require considerations on the effects of improved aerodynamics, propulsion efficiencies, flight techniques, aviation fuels, and combustion processes. At the same time, it is essential that we obtain accurate scientific evidence as a basis for international control of aircraft pollution and its effects. 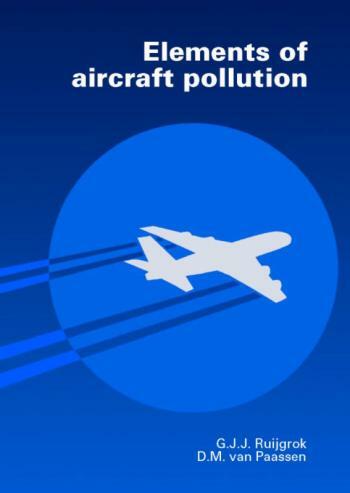 The purpose of the book is to provide insight into the numerous topics involved in the problem of aircraft pollution. Therefore, when necessary and possible derivations and formulae are presented, but for an important part the book is highly descriptive. The text originates from a MSc Aerospace Engineering course on airplane propulsion, noise, and pollutant emissions, given by the author at the Faculty of Aerospace Engineering of Delft University of Technology.